The van is finally fixed. Which feels amazing because we kept driving by the garage and we would see it in the exact same spot, having not moved an inch, nowhere near the garage itself, and it was really beginning to feel, after eight days, like it was never going to happen. They had to repair a big box truck first, they told us, and as soon as that was done, the van was going to be in it's place and sure enough it was still in the garage yesterday morning but today my van is completely 100%. So it all worked out. And just in time for the weekend. It has a new (To me. And by that I mean, rebuilt.) engine in it that I think, if my memory is correct, is much quieter than the old one had been in quite some time. Tomorrow, as long as the thunder storms that we may very well have hold off, there will be more soccer and hopefully less fighting during the soccer, between the brothers, than last week. 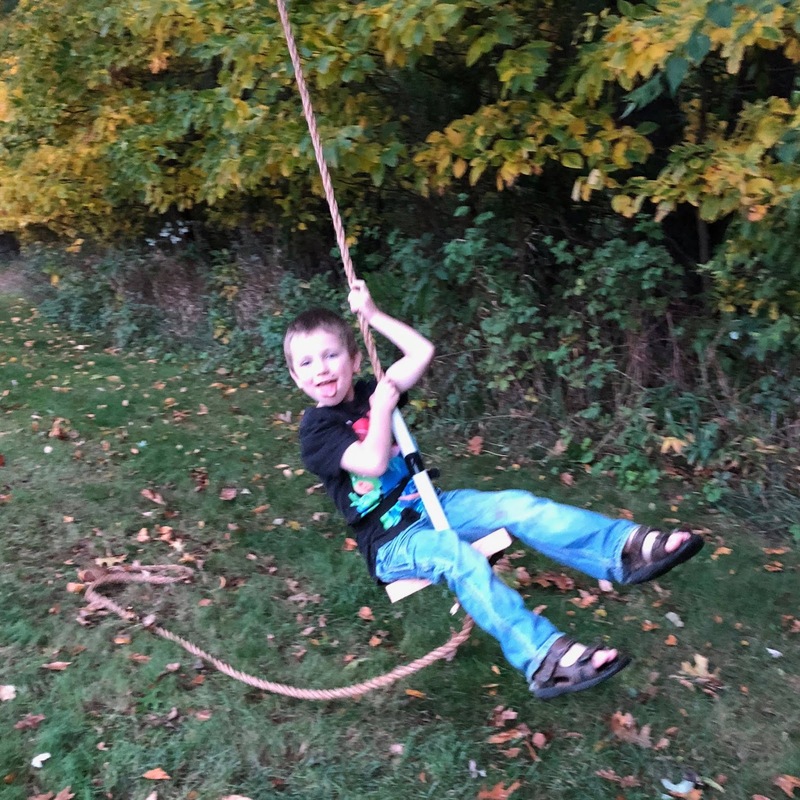 Bopa hung a rope swing from one of the trees in his backyard, and so far no bones have been broken, and the kids have been having a lot of fun swinging from it, although everyone has wildly different ideas of what "super high" actually is. Sadie is the only one who actually, in reality, goes "super high" on it. Sadie is also determined to be as taller than I am, as soon as possible. Her feet are basically already the same size as mine, which I'm pretty sure means that I don't have much longer before she's towering over me. 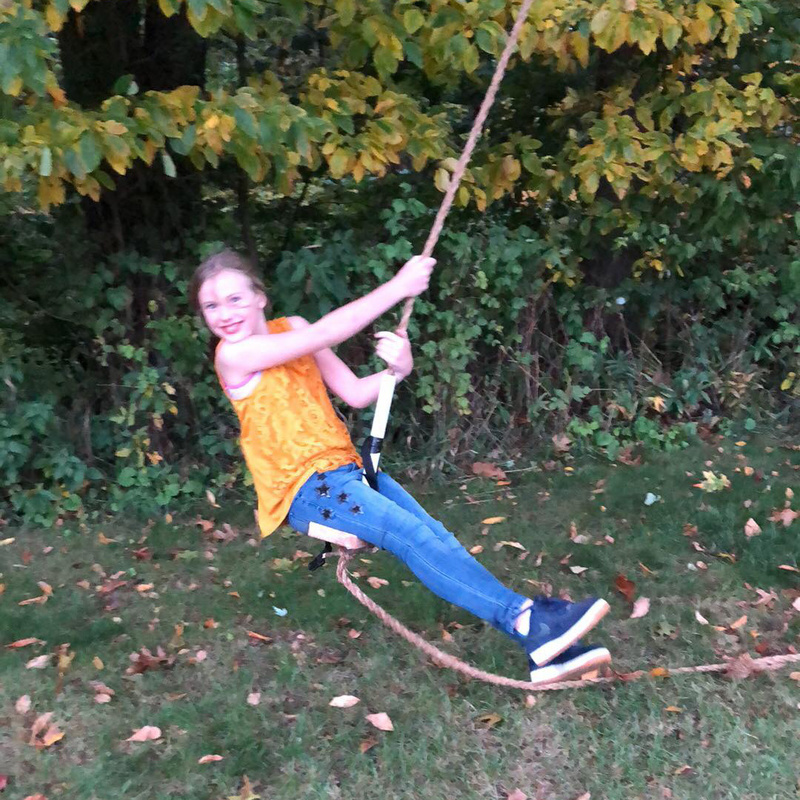 She already passed by my grandma in height this summer, and she's taller than her teacher, and she's almost taller than Nani, and is creeping closer and closer to that milestone by the day. I'm hoping I at least have until summer before my biggest big kid is actually bigger than me.